Thank you for visiting our shop! 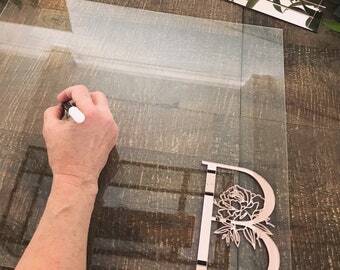 All of our items can be personalized at NO EXTRA CHARGE. You can leave your design requests in the notes section at checkout. If you have a special piece in mind, please message us with your custom order request. PLEASE NOTE: Our items are made of wood. Each item will be unique due to natural wood grain, knots and density of wood. We believe that the natural flaws are what make each one of our products beautiful. FOR ALL ORDERS: Please leave your 'date needed by' in the notes section at checkout. Please check lead times before ordering. I absolutely love this piece for our modern farmhouse bathroom renovation. I couldn’t be happier with the customer service , fast shipping to meet my deadline and the material of the sign. Such a pleasure to open beautifully wrapped quality pieces ! My boys absolutely loved these trays- they are not only prefect craftsmanship but super fun to display figures on. Thanks so much ! I didn't expect that the letters would be in two pieces, but it's actually super smart that they come that way. I love the letters and am super happy with the quality! Our "Love is patient" sign mixed into a gallery wall. One of our double wine boxes used in a stunning wedding ceremony. Thank you for stopping by FreestyleMom! We hope you enjoy browsing through our designs. 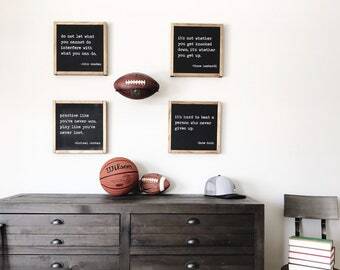 Our goal is to provide you with sports award holders and wedding and home décor that you will be proud to display in your home or at your event. We try to use the most in-style color selections and designs. Happy Shopping! Please note, all requests must be included in the notes section at checkout regardless of them being discussed in our convo's. This helps ensure the most accurate ordering! 1. Please leave your date needed by in the notes section at checkout. 2. Please check lead times before ordering. 3. Please double check your shipping address before completing your order. CHRISTMAS ORDERING CUTOFF: The last day to order for Christmas delivery is December 8th.